MusclePharm creatine increases Creatine status by enhancing uptake and bioavailability. Clinically-proven Cinnulin heightens absorption, so our five pure and diverse Creatine complexes delivering a range of benefits will launch directly into muscles. MP Creatine increases explosive energy, ATP energy and overall power. 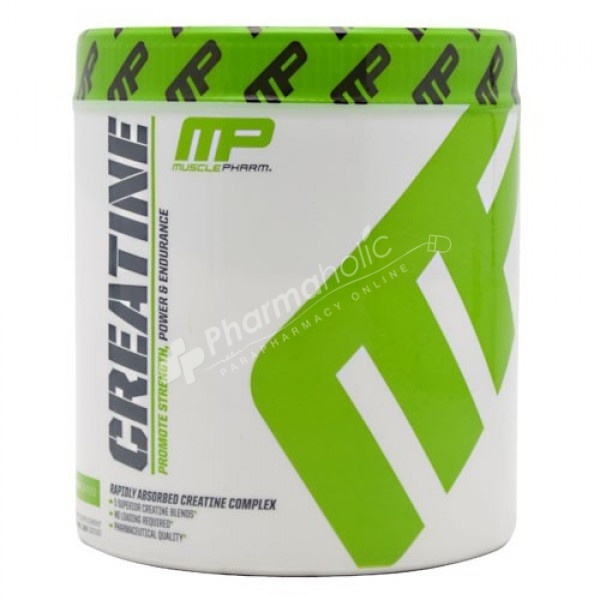 SKU: 736211053770 / Product Availability: Yes / Manufacturer: MusclePharm Corp.
MusclePharm Core Series Creatine increases creatine status by enhancing uptake and bioavailability while promoting stamina, strength and lean muscle growth. This nutrient is used by athletes who engage in high-intensity/short duration exercises like weight lifting. The clinically-suggested ingredient Cinnulin PF® heightens absorption, which assists our five pure and diverse creatine complexes in delivering a range of benefits and launching directly into muscles. MP Core Series Creatine increases explosive energy, ATP energy and overall power.